Tulum is an hour and a half to two-hour drive from Cancún International Airport. You can rent a car or organize a transfer shuttle through the airport. Renting a car is generally quite cheap in Cancún or Tulum, just be sure to calculate insurance into the cost. Once you arrive, taxis and resort shuttles are plentiful. 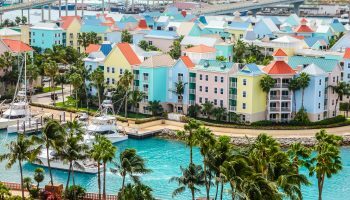 Plan your trip for October to December for the most enjoyable, hurricane-free weather. Peak season is January to March. When shopping and dining, bring cash. Both American dollars and pesos are accepted, but you’ll get a better deal in pesos. Tulum offers trendy lodging for every kind of traveler, from luxurious havens to best bargains. 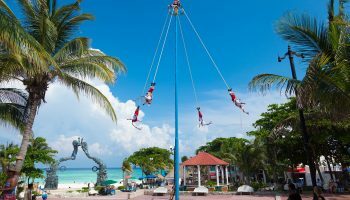 If luxury is your aim, head to The Beach Tulum where you can relax in rooftop Jacuzzis, float down a lazy river and dine on gourmet meals overlooking the beach. Get in touch with your more spiritual side at Be Tulum, where earth tones meet opulence in the decor, and the ocean and jungle surround every suite. Its daily yoga and meditation classes will put you in an island state of mind. Wellness-centered hotels are plentiful in this imaginative locale—Amansala offers yoga and boot-camp retreats by world-famous trainers, Papaya Playa Project spreads the love with yoga classes and traditional Temazcal ceremonies, and Ahau Tulum caters to the active with kitesurfing, paddle surfing and a jungle gym on the beach. At Sanará, you’re in for a total mind-body healing experience. This sustainable resort was designed with a sense of grandeur while also incorporating eco-friendly practices and local culture. The beachside suites, sound healing treatments and yoga classes ensure an otherworldly vacation experience. If the great outdoors is the focus of your trip, this simpler option will have you lounging right on the beach at an affordable rate. Posada Lamar welcomes guests with thatched roofs and cozy rooms just steps from the ocean. 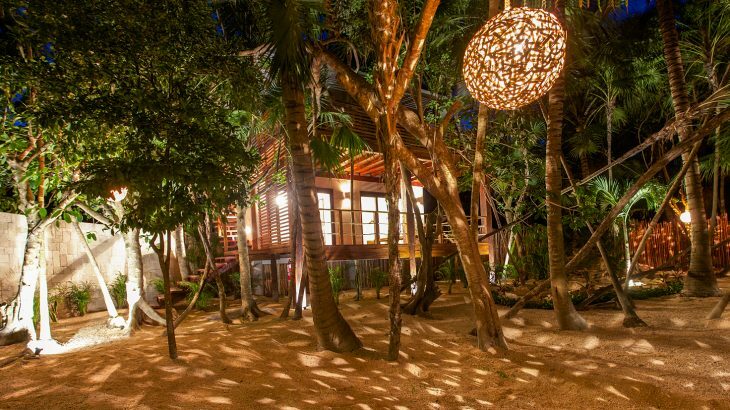 Its funky cabanas and cabins offer mosquito-net-lined beds, curved-wood walls and 24-hour, solar-powered hot water and electric. No matter where your head hits a pillow, Tulum won’t disappoint. Enjoy a romantic dinner at the ambient Casa Jaguar, where you’ll have a hard time discerning if you’re in a restaurant or the jungle. The delicious Aguachile Tatemado starter and mezcal cocktails keep guests coming back for more, especially on Thursdays, when live music and dancing kicks up the tempo at the weekly jungle party. Hartwood on the other hand, offers a fully sustainable restaurant experience featuring solar power and wood-fired appliances. Since its ingredients are always fresh and locally sourced, the menu changes daily. 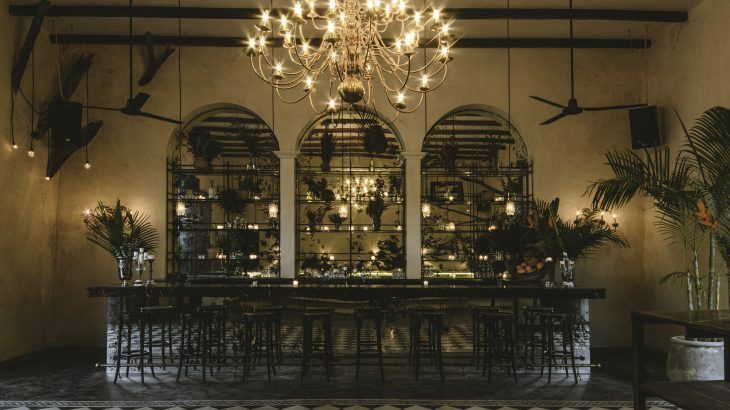 In sync with Tulum’s green mindset, this eco-friendly spot is always packed and takes reservations up to a month in advance. If you do end up on the waitlist, sip one of their delicious craft drinks and embrace island time before dinner. Meet the owner right as you walk into La Eufemia and be sure to give her a good pet—that’s right, a sweet dog named Eufemia owns this restaurant. She works hard greeting customers and making sure everything is up to par. 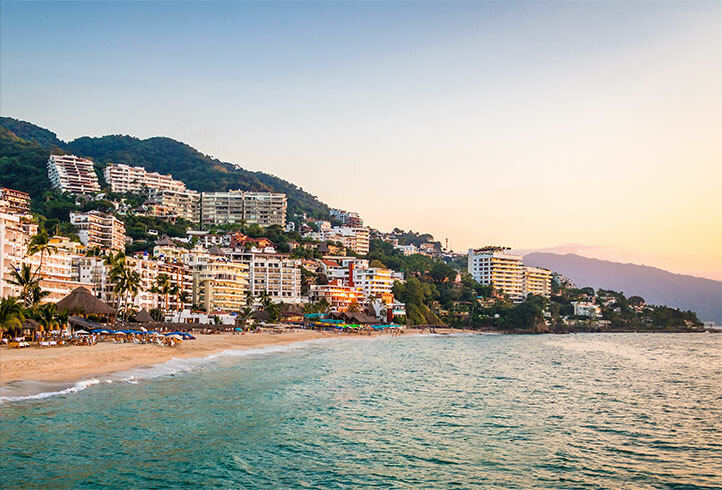 Since La Eufemia is right on the beach, you can spend the entire afternoon trying different tacos, swimming and watching dogs play. Just be sure to arrive around noon for the best located beach chairs. If seafood isn’t your speed, El Asadero is just the spot. It’s known for perfectly-cooked steaks, large servings and pleasant service. Head to Soliman Bay for an unforgettable meal and unrivaled atmosphere right on the beach at Chamicos. Don’t be fooled by the plastic white chairs and lack of menus, this casual eatery serves up ceviche, whole-fish meals, hometown beer and more. 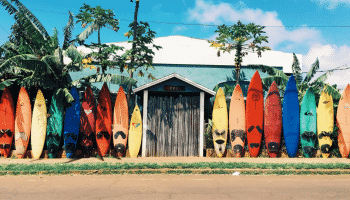 Take in the swaying palms and ocean waves among locals and in-the-know visitors—tourists usually only find this gem through referral. If you have a thing for cochinita pibil tacos, make your way to Taqueria Don Beto. It looks like any average taco stand, but has a reputation for the absolute best cochinita pibil tacos in the area. 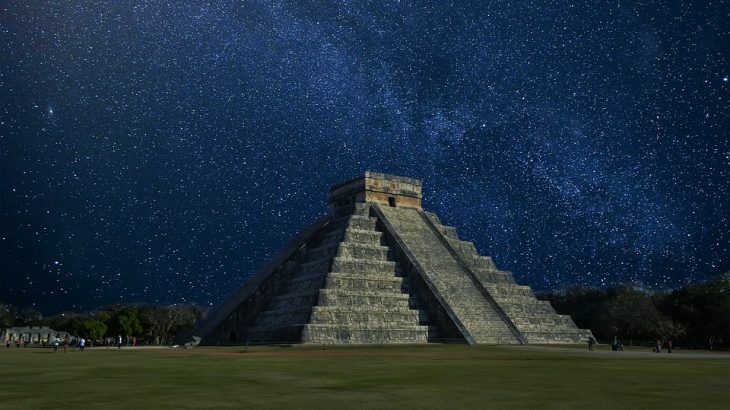 The El Castillo ruins at Chichen Itza are an absolute must-see when in Tulum. After a two-hour drive, you’ll experience ancient Mayan Culture by seeing where the civilization lived and learning their traditions. If you visit during spring or autumn equinoxes, you’re in for a special treat—the serpents running along the pyramid cast a shadow that looks like a serpent crawling down the side. Parque Nacional Tulum has its own set of incredible ruins. 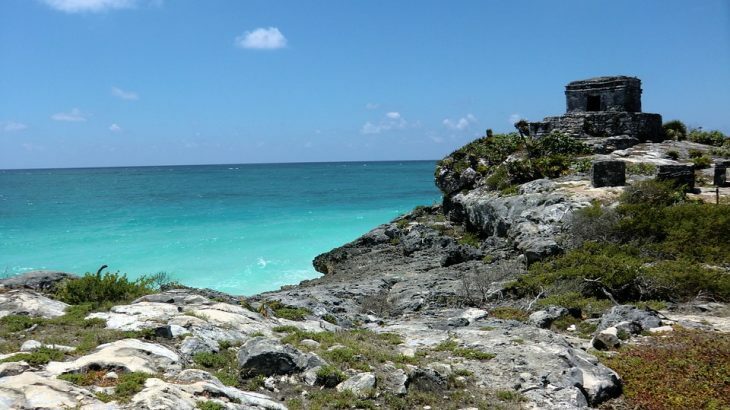 The Tulum ruins were built as a fortress, three walls and the Caribbean Sea surround it. In their prime, these ruins were used as a trading post between different Mayan communities on the peninsula and the outside world. Pay the entrance fee and explore the ruins on your own or hire a tour guide for more historical insight. Since Tulum ruins are right on the beach, you can take a cooling dip off the beach and get a spectacular view of the ruins from the ocean. Check out Gitano for one-of-a-kind clothing and accessories by Calo. This open-air boutique is worth a visit even if you don’t buy anything. The thoughtful design set among the jungle and attached gourmet restaurant ensure that your visit won’t be in vain. For locally crafted stone jewelry, stop by Mr. Blackbird. An artistic couple that met in Tulum made their dreams a reality with this boutique. Every piece of jewelry is unique and thoughtfully designed with beautiful stones. Cover yourself from head to toe in revitalizing Mayan clay at Tulum’s Mayan Clay Spa. 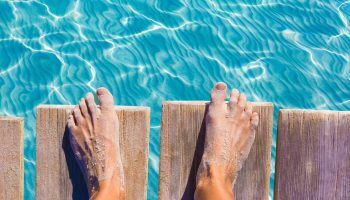 Treatments take between one to three hours and give both singles and couples a break from the sand and sun. We recommend the bathhouse therapy for three hours of pure bliss, starting with exfoliation treatments and a face, neck and shoulder massage, before you move onto the bathing ritual and Mayan clay pool. Your treatment ends with an Epsom salt Jacuzzi bath, sauna treatment and fruit mask. They even let you rest in a plush king size bed or hammock after your experience. Sign us up! 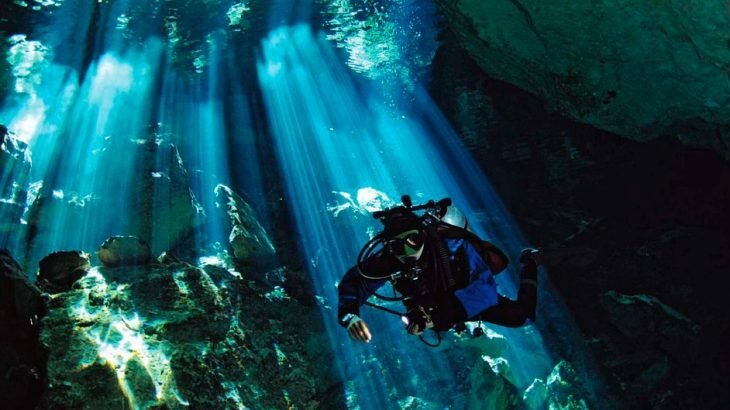 Drive just 30 minutes north of Tulum and experience one of the coolest dive sites the Riviera Maya offers. Cenote Dos Ojos is one of the longest underwater cave systems in the world and has crystal clear water that’s perfect for exploring. Book a diving tour ahead of time and plan for a full day on this excursion. Snorkeling these cenotes is a popular alternative for those not scuba certified. Pack your swimsuit and drive 20 minutes south of Tulum on Highway 307. Once you get to Pino Suarez you’re just one dirt road away from Nopalito Lagoon. Glimmering blue, waist-deep water invites you to float, swim or soak up the sun. Tourists rarely hear of this secret spot, leaving it relatively untouched and quiet on most days. Bring a hammock, snacks and drinks and soak up this little slice of heaven. Tulum Art Club is a café, gallery, live music space and micro hotel that’s perfect for a low-key outing. Spend the afternoon sipping on one of their cold brew coffees, enjoying the art and making conversation. The cafe also offers select Mexican dishes if you’re hungry.